A global leader in R&D procurement and supplier management, Brigid Siegel is recognized for the depth and breadth of her experience in the biopharmaceutical industry. With her strengths as a thought leader, her knowledge of technologies that support growth and operational excellence, and her ability to manage and mentor culturally-diverse cross-functional teams, she is a proven, relied-upon resource. 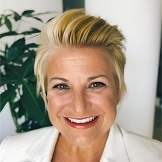 Most recently Brigid served as Executive Director, Global Head Clinical Development Sourcing & Procurement with Merck & Co., Inc., where she proactively managed the procurement strategy & operations for early and late stage clinical development operations, Regulatory Affairs and the Center of Real World Evidence. Innovative in approach, she is an early adopter of new technologies as evidenced by her initial work seeking ways to apply blockchain solutions to the pharmaceutical industry. leadership for phase II-IV clinical sourcing and procurement services. Earlier, Brigid performed in four separate roles with Hoffman-La Roche, Inc. Brigid commenced her career with companies that included Celerion, Inc. (Harris Labs), Wyeth, Inc. (Whitehall Robins), Schering-Plough, Inc., and Pfizer, Inc.
Brigid conferred her Bachelor of Science in Biological Sciences from the University of Nebraska. To advance her knowledge, she is completing the Oxford Blockchain Strategy Programme at Oxford University / Saïd Business School. She also completed other leadership and negotiation programs with Harvard School of Business, California Technical Institute, and London School of Business. She is bilingual in German and English and resides in New Jersey.